"HSA is a handy tool"
Conveniently pay for qualified healthcare expenses  As a checking account, DCU's HSA makes it easy to pay for medical expenses incurred by you, your spouse, or your dependents. For members with high-deductible health plans  By IRS rules, you must have this type of health plan to have an HSA. In exchange for paying a larger deductible up front, members of these programs tend to see lower insurance premiums. Earn competitive dividends on your entire daily balance  From day of deposit to day of withdrawal, compounded daily and paid monthly. No minimum balance to open  or to earn dividends. Debit card  Your HSA debit card makes it convenient to pay for qualified expenses at thousands of locations that accept Visa debit cards. Free online, mobile, and branch access  You can access your HSA Checking Account 24 hours a day using Online Banking, Mobile Banking, Easy Touch Telephone Teller, and at DCU ATMs with your HSA Debit Card. You can also access your account with your HSA checks, at any DCU branch. Federally insured to $250,000 by NCUA  Learn more about this coverage. *Rates are subject to change weekly. Funds earn dividends from the first business day of deposit and are compounded daily and posted monthly. HSA Checking Account dividends are calculated on the full balance using the highest applicable dividend rate. Accrued dividends are forfeited if account is closed prior to monthly dividend posting. Fees or other conditions may reduce earnings. Refer to DCU's Truth-in-Savings Disclosures and Account Agreements and Schedule of Fees and Service Charges. HSA Checking Account is rated 4.5 out of 5 by 61. Rated 5 out of 5 by Dave from Easy to Transfer Mony into the account The HSA account is easy to maintain and clearly view the status of the account. The DCU support team is helpfull and knowledgeable. I can't say enough to describe how much I appreciate how easy it is to obtain information and to get help when needed. Rated 5 out of 5 by Jack from I wish every bank/credit union made banking this easy. Plus great Tax Advantages I wish I had the opportunity to jump on an HSA sooner than I did. 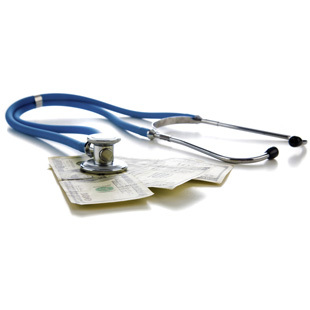 It is a great medical plan that covers a multitude of expenses and not just medical doctors expenses. Like Dental, Vision care and the Chiropractor! Plus you have outstanding tax breaks and advantages. Google and YouTube it and you will see what I am talking about. Rated 5 out of 5 by Srinivasa from Quick procedure to start with HSA accounts Thank you, I found this HSA without any maintenance fee. Rated 5 out of 5 by Bruce from Great product, easy to setup Hard to find an HSA administrator that is easier to work with. Rated 5 out of 5 by Maggie from It is great to have this product. I am so happy DCU made it so easy for me to get this product especially that I was a DCU member already. Since I don't live in the area anymore, I had to open other bank accounts and I tried to open HSA account with them with no success. Some banks don't even have it. Other banks it is such a process to be able to get it. I would have to go through other vendors that are affiliated with the bank to get it but it was not so for DCU. I am very satisfied. Rated 5 out of 5 by Mudit from HSA is useful; DCU made is more convenient HSA account with debit cards is very convenient way to make medical expenses tax free. Rated 5 out of 5 by Ms. G from Great Experience with Opening a Health Savings Account I was very pleased with my experience with DCU on Saturday, May 13th. Soultana Merhy was very helpful, professional and friendly. She made the process simple and easy to understand. Thank you to Soultana for her help and expertise. I would highly recommend DCU to anyone. Do you offer a 'family' HSA and can I deposit money online? 1) We set up an HSA with another credit union and just recently found out that we have maxed out the contributions we can make for the year because it was set up as an individual account. The IRS limit is higher for a family account, but that CU doesn't offer a family account. 2) can I scan a check online to deposit into your HSA. I know you offer it for checking account deposits, but does it work with the HSA? 1) Yes, you can setup a family HSA account with DCU. 2) Not at this time but you can scan the check into your checking/savings account and then do an online transfer into your HSA a/c. Can my employer make deposits into my HSA account? My current employer makes pretax deposits in an exisiting HSA account with HSA bank. I would like to switch over to DCU because of all the fees associated with the HSA bank account. Can my employer deposit my withholdings directly into my HSA account with DCU? Is there any information on how to do this? The link has changed. You will now have to go &lt;Account Manager&gt;. Then select &lt;Account Info&gt;. Then select &lt;Manage Accounts&gt;. Select &lt;Direct Deposit&gt;. Hope this helps anyone trying to do the same. DCU customer service rocks!! HSA account can be opened if have HDHP (High Deductible Health Plan) insurance at work; it can be used for making copayment or any qualified medical expenses. Hope this helps. How do you qualify an HSA with tax free funds if you are not employed? I am a widow on survivors benefits and not yet eligible for Medicare. I am enrolled in an HSA health plan for 2019. How do I set up the account with pre taxed funds if I am not employed? Can I transfer money from a retirement account? Would I be able to roll over unused portions of my HSA from One year to Next Year and build up a balance? Yes, that's the benefit on HSA. Depending on the institution or service provider, you will have option to trade funds. In addition to the tax benefits of the program, DCU makes it easy to set up and utilize. It's visible with my other accounts and the check card makes it even easier to use. If you have any questions, please speak with a Member Service Representative at your nearest DCU branch or call our Information Center at 508.263.6700 or 800.328.8797, weekdays 8:00am to 9:00pm and Saturdays 9:00am to 3:00pm ET. I've been using my HSA account for the last few years and the whole process was extremely simple and convenient. No minimum balances or fees. I love DCU. HSA Service Center  Includes information about Health Savings Accounts and an HSA Planner. Open a new DCU HSA Checking Account or service your existing one. Order Checks – Complete information about reordering checks. Affidavit of Forgery (.pdf format) – Use the Affidavit of Forgery to report checks which have been fraudulently cashed on or against your Digital Federal Credit Union account. Check 21 Disclosure – Covers what your rights are regarding substitute checks and how to make a claim for a refund. Update Contact Information Form (.pdf format) – For address, phone number(s), and/or email address changes. Automatic Transfer Authorization (.pdf format) – Have DCU set up recurring automatic transfers from checking and savings to other accounts. (Note: you can also set up automatic transfers yourself in Online Banking. Authorization and Agreement for Pre-authorized Payments – Make recurring transfers from your account at another financial institution to your DCU loan account. Authorization and Agreement for Pre-authorized Withdrawals – Make recurring transfers from your DCU account to another financial institution. Direct Deposit of Federal Recurring Payments (.pdf format) – Use this form to have DCU set up direct deposit of your Social Security or federal pension to your DCU account.